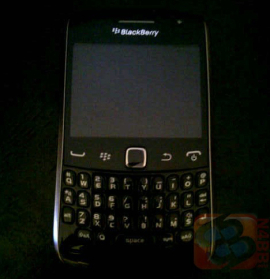 New Blackberry Orlando leaked? Blackberry Curve Touch? Aside from rumors of the BlackBerry Monaco/Monza and Curve Touch, we’ve heard that RIM is also adding a couple of regular Curves to the mix just in time for BlackBerry World. They’re code-named Apollo and Sedona, and supposedly are for GSM and CDMA, respectively. To make things a bit more interesting, this leaked photo on Boy Genius Report is apparently a picture of the BlackBerry Orlando, which is just like the regular Curve except it has a touch screen (unlike the Curve Touch, this phone has both a touch screen and a physical keyboard). This is strictly rumor territory, of course, and it makes us a tad suspicious that the handset’s code name happens to be the same as the name of the venue for BlackBerry World next month. Still, this might be good news to BlackBerry fans as it would provide the best of both worlds.